Happy Valentines Day!! Not that I "believe in" Valentines Day. There should not be a day you are "required" to show your love, love is a year round endeavor. However, I adore the sentiment and the HEARTS. I went a little nuts with the hearts today. But heck, it's Valentines Day. Hehe. I applied one coat of China Glaze Tart-y For The Party to all nails. Then applied the second coat and while still wet, I applied my loose glitter hearts one by one. I did this one nail at a time. 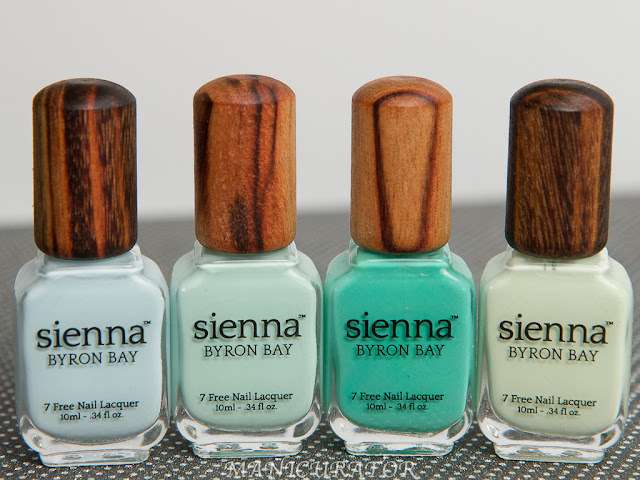 All four of the above pics were taken without top coat. 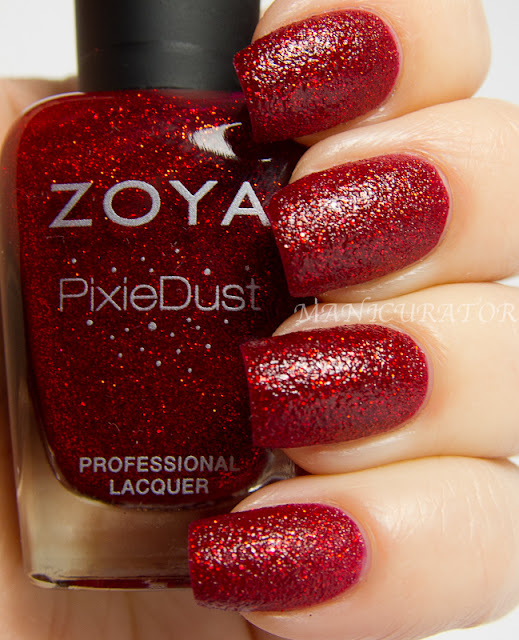 I definitely like it that way, but know it doesn't have much staying power on curvy nails like that. The rest of the photos have top coat. Two coats in fact. 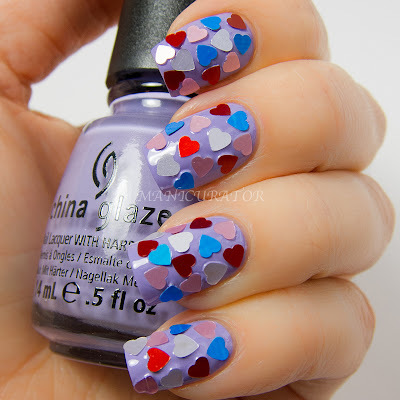 I really adore this hearty look and the lavender creme from China Glaze Avant Garden Spring 2013 Collection applied in two easy coats and is a sure winner for me for this Spring! I can't wait to try out the rest of the Avant Garden Collection, they all look amazing! Speaking of amazing..don't forget to check out my other Digit-al Dozen ladies today! *China Glaze provided for review. 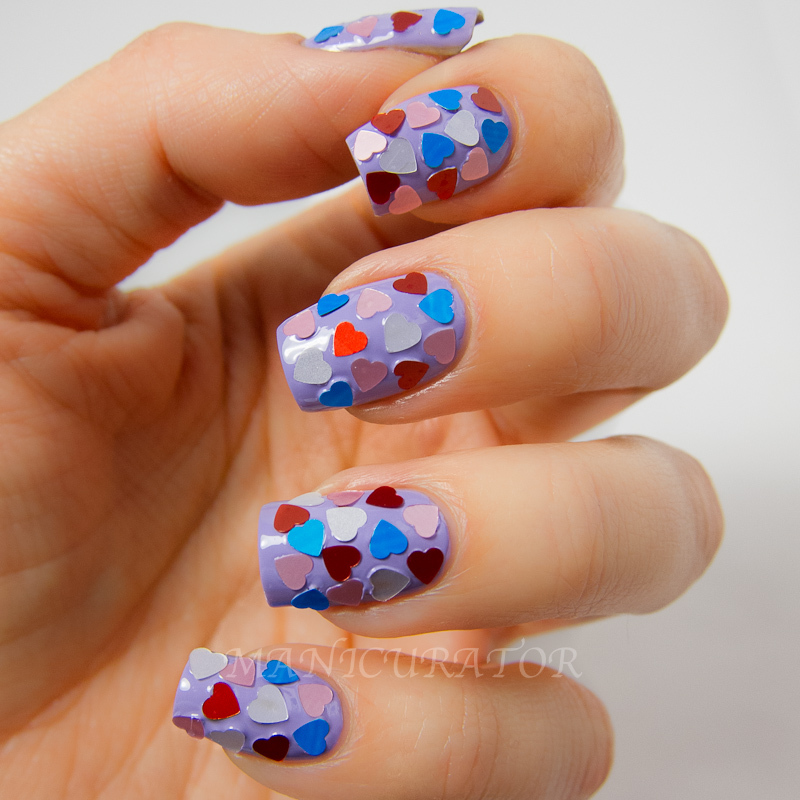 Overboard on the hearts? NEVA! 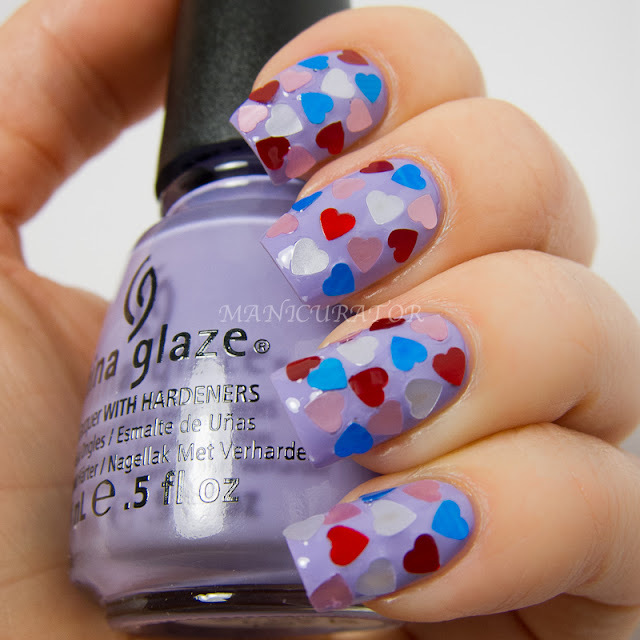 These look fabulous and love all the multi colored hearts. 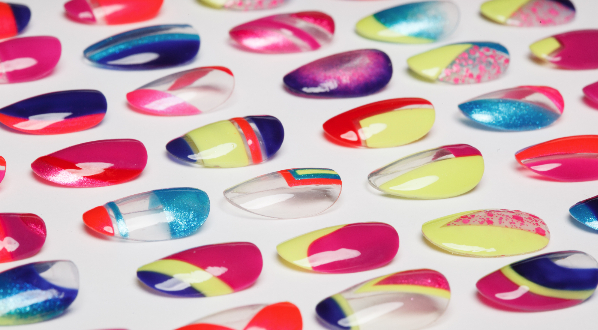 You have to be one of the best nail artist ever!